TV actor Rohit Purohit tied the knot with his long-time girlfriend Sheena Bajaj in a simple yet beautiful ceremony in Jaipur. 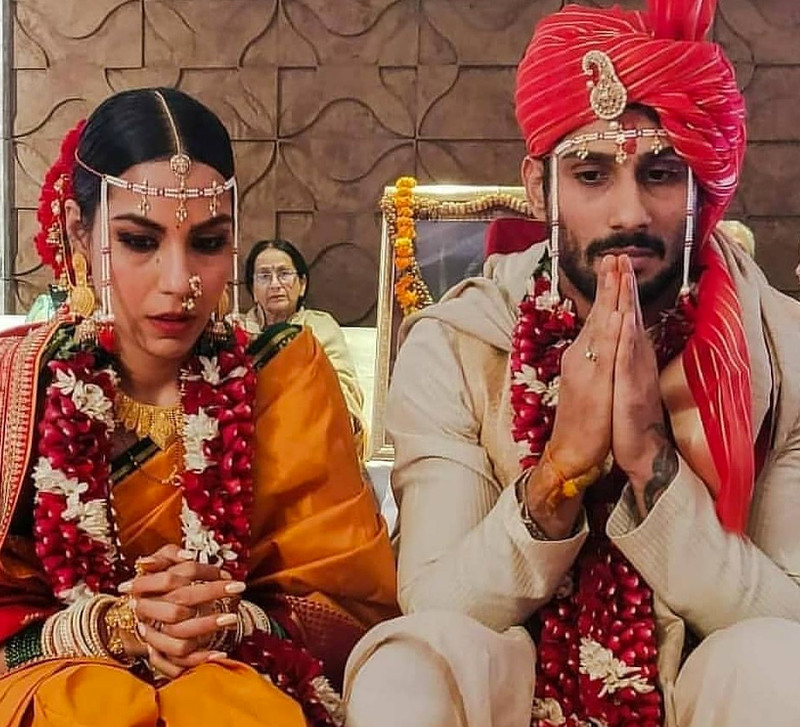 TV stars Sheena Bajaj and Rohit Purohit made it official in a traditional ceremony at a resort located on the outskirts of Jaipur. The series of snaps captured by WeddingSutra Favorite CoolBluez Photography from their beautiful wedding functions will make you swoon! Sheena and Rohit’s story reads like a script from a film. Love blossomed when they first met on the sets of the TV show, Arjun. They became friends instantly but then Sheena asked Rohit out. Things looked like they were meant to be but then came the obstacles. The couple even decided to take a time out. But somehow, love triumphed against all odds and the two made it! 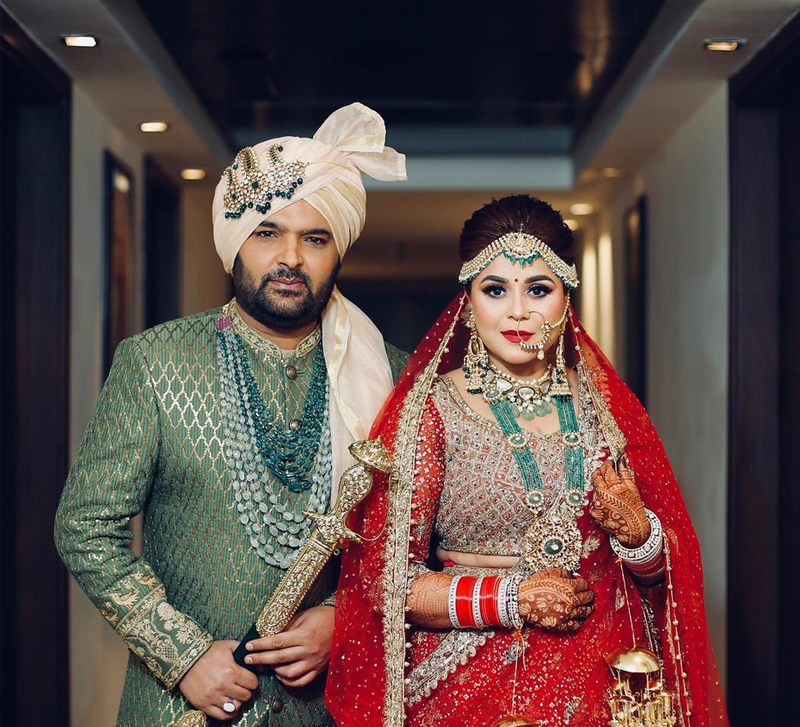 Across a colorful mehndi, a glamorous engagement party and a solemn, beautiful wedding ceremony, these two lovebirds looked gorgeous! The bride was bright and beautiful in a pink and yellow lehenga for the Haldi ceremony. Her beau wore a yellow sherwani with a beige Nehru jacket. Sheena looked radiant at the engagement party in a glittery silver-black outfit with her hair tied in a bun. Rohit looked dapper in a classic tuxedo. To the wedding, Sheena chose the traditional red lehenga and Rohit complemented her in his gold sherwani. The wedding was followed by a reception where industry friends including Himanshu Soni and wife Sheetal, Rukhsar, Aniruddh Dave, Akash Singh Rajput, Saurabh Pandey with wife Zara were in attendance to congratulate the newlyweds and party.